If you’re seeking a highly compensated role in healthcare that doesn’t require a clinical or medical degree, working your way up to a healthcare executive or hospital executive role could be a great option for you. Hospital executives and healthcare executives come from a variety of backgrounds, many of which are non-clinical. Below are some examples of healthcare executive roles. Each hospital has a team of executives responsible for the optimal, efficient operation of the facility. Chief Financial Officer: Background in accounting or finance. The CFO manages, tracks, and oversees all of the financial operations of the hospital. Vice President of Human Resources: The VP of HR oversees all of the personnel and hiring. Chief Executive Officer: Hospital CEOs can come from a variety of backgrounds, including business, consulting, operations, medicine or more. Hospital executive roles are great because they are recession-proof, but they can be extremely stressful, high-pressure positions. Executives must handle many political issues amongst physicians, the public, lawmakers, corporate ownership if applicable, and insurance companies. It’s becoming increasingly difficult for hospitals to be profitable as insurance reimbursements decline in many areas, and the cost of healthcare continues to increase. Get healthcare experience: Some hospital executives have experience as healthcare consultants, some have managed medical offices, and others work their way up from lower-level jobs from within the hospital. Chances are, you’re not going to be tapped to be a hospital executive right out of undergraduate – you’ll need to work your way up into an executive role. Educate yourself: The majority of hospital executives have at least a bachelor's degree in college. It doesn’t really matter what it’s in – the degree could be in anything from business administration, biology, technology, human resources, and social work. Additionally, many executives hold advanced degrees, such as an MBA, or a master’s degree in healthcare administration, or some other related field. 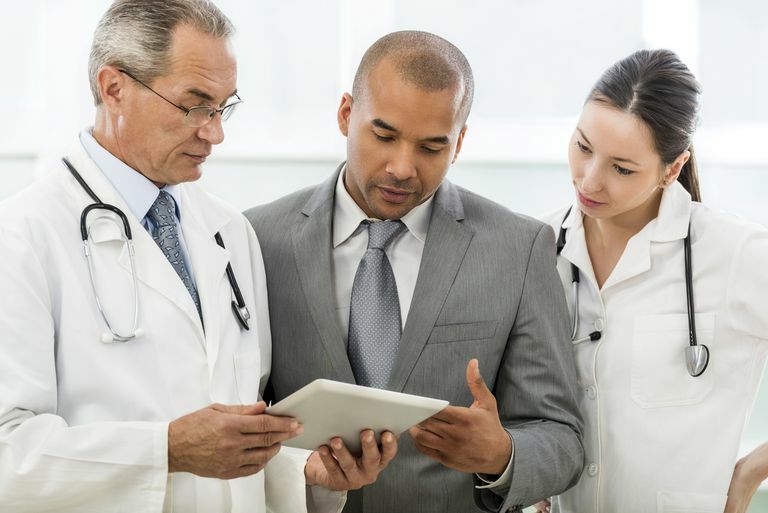 Network with hospital executives: many hospital executives I’ve met over the years were somehow connected to their peers from a previous role, often at a past employer. Join professional associations for healthcare executives, and make your goals and aspirations clear to become an executive. Professional networking is always a great way to boost your medical job search, and for executive roles, networking is particularly effective. Be Flexible Geographically: There are thousands of hospitals in smaller communities. Particularly when breaking into the industry, you’ll really increase your chances of being hired for an executive position in a smaller community hospital. If small-town life is not for you, it's only temporary, to gain executive experience, then you can market yourself to larger, more urban facilities if you desire. Develop Executive Skills: Hospital executives need proficiency in communication skills, (oral and written), management skills (managing people, and projects), diplomacy, decision-making and analytical skills.